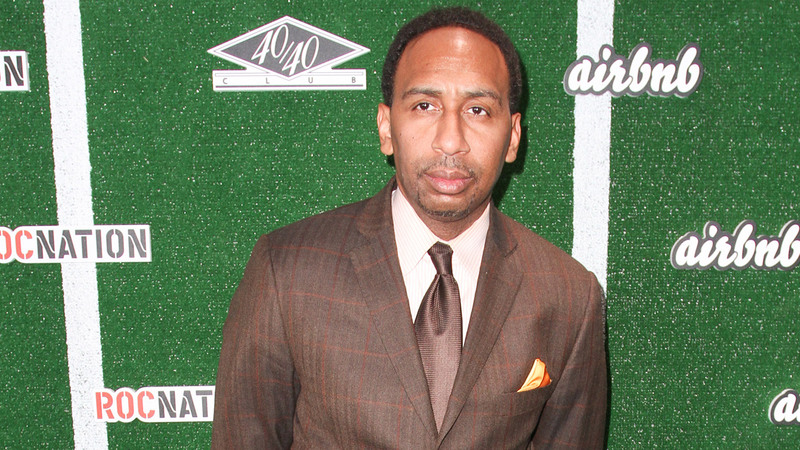 NEW YORK — ESPN has suspended outspoken sportscaster Stephen A. Smith for a week because of his comments about domestic abuse suggesting women should make sure that they don’t do anything to provoke an attack. Smith’s commentary occurred during a discussion on ESPN2’s "First Take" last Friday about the NFL’s two-game suspension of Baltimore Ravens running back Ray Rice following charges he assaulted his now-wife. The remarks attracted widespread attention, including a stinging rebuke online from a fellow ESPN personality. Smith issued an on-air apology Monday, saying it was the most egregious mistake of his career. A day later, ESPN took action. The network’s chief executive, John Skipper, told ESPN’s staff in a memo it was done after a "thoughtful discussion" about appropriate actions with men and women in his company. "I believe his apology was sincere and that he and we have learned from what we’ve collectively experienced," Skipper said. Smith will not appear on "First Take" or ESPN radio until Aug. 6, the network said. During the Rice discussion, Smith alluded to women in abuse cases when he said, "Let’s make sure we don’t do anything to provoke wrong action … we got to also make sure that you can do your part to do whatever you can do to make, to try to make sure it doesn’t happen again." Shortly after Smith’s remarks, colleague Michelle Beadle responded on Twitter that "I was just forced to watch this morning’s First Take. A) I’ll never feel clean again B) I’m not aware that I can provoke my own beating." Beadle, host of ESPN2’s "SportsNation," continued with a series of tweets. She said that "Violence isn’t the victim’s issue. It’s the abuser’s. To insinuate otherwise is irresponsible and disgusting." Smith, during his apology, said it wasn’t his intention to say that women could be responsible for their own abuse. "It was not what I was trying to say," he said. "Yet the failure to clearly articulate something different lies squarely on my shoulder." Smith didn’t explain the point that he was trying to make. ESPN frowns upon its personalities attacking each other on social media or other forums. But it did not announce any punishment for Beadle.